Professional liability insurance (also called malpractice insurance) could protect your practice and assets if you’re ever faced with a lawsuit over a mistake made on the job, negligence or failure to perform a service. Unfortunately, these work-related mistakes aren’t the only reason a practicing dentist could face a lawsuit. A robust risk management strategy for yourself, your staff and your practice may evaluate and cover a variety of risk factors above and beyond what professional liability insurance includes. It is important that you understand these other liability exposures in order to implement a sound risk management strategy and address any gaps with your existing coverage. From workplace fires to stolen patient information, there’s a variety of incidents and accidents that could disrupt your dental practice and are not covered by professional liability insurance. Unlike professional liability insurance, Business Owner’s Policy can cover unexpected business-related losses similar to the way a homeowner’s policy protects your personal property. Business owner’s policy benefits can help dental practice owners to repair or replace business property or equipment, as well as reimburse lost earnings caused by covered property loss. Ultimately, practice owners can be found legally responsible for their employees, even if they aren’t personally involved in the incident that triggers a lawsuit. Sexual harassment, ageism, discrimination, refusal to employ and wrongful termination are all important employment-related allegations that can have serious legal repercussions. And none of these are typically covered by professional liability insurance. Unfortunately, small to mid-sized dental practices can often be the target of these types of lawsuits due to their typical lack of preventative resources, such as a human resource department, training programs and established workplace policies. Employment practice liability insurance can provide coverage against employment-related claims, with some carriers and policies also offering training programs, policy templates and professional advice for avoiding these types of lawsuits. Professional liability insurance may cover the accidental injury of patients, but typically not employees. Worker’s compensation insurance can help to cover the medical expenses, lost wages and rehabilitation costs when employees of a dental practice suffer a workplace-related accident or injury, regardless of fault. In the case of a work-related death, benefits may also cover payments to the employee’s family and legal fees in related lawsuits. Both worker’s compensation and professional liability insurance may be required by law in some states. For practice owners and practitioners themselves, disability income insurance can provide a predetermined portion of your income while an injury or illness prohibits or limits your ability to work. These benefits aren’t exclusive to workplace injuries and may also cover a practitioner who becomes ill or injured outside of the office. Age and health may both play a factor in the pricing of these policies. 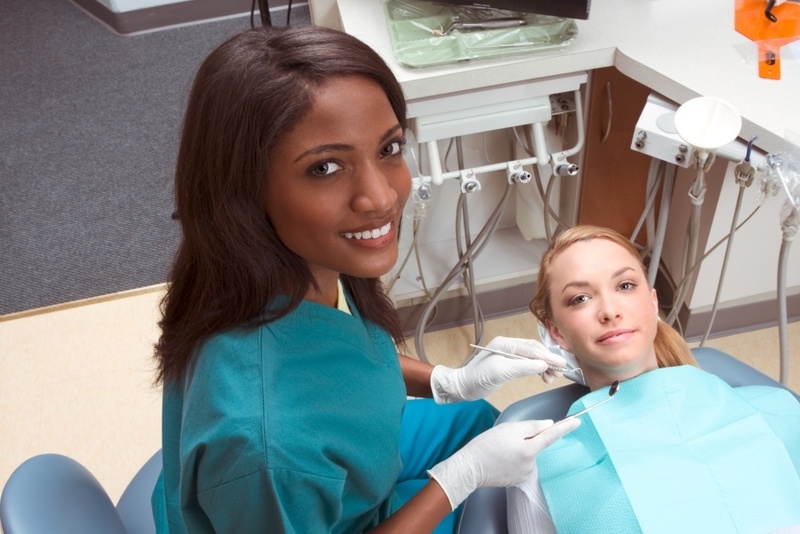 While professional liability or malpractice insurance can protect you as a professional, it typically won’t protect your private dental practice entity or partners. A lawsuit against you or your staff could also name your practice, putting your professional assets in jeopardy. Your practice could be found liable for damages, even if the person named in the suit is not. Entity malpractice coverage is one option for protecting your private practice in the same way professional liability insurance coverage protects you as an individual. Entity policies can provide benefits similar to professional liability insurance including the insurance company’s assistance in your defense, legal fees and payments made to the plaintiff. There’s just no way to know what you, your staff and your practice will face in the future. Thankfully, there are many ways to try to be prepared. By thoroughly understanding what your insurance policies cover (and what they don’t) you can better identify and rectify those gaps in your coverage that may put your practice or assets in jeopardy. While professional liability insurance can be the cornerstone of a solid risk management strategy, it may not be the only policy you’ll need for thorough, strategic protection. Avoiding a malpractice claim isn’t always possible, but there are strategies you can employ that may help lower the risk of an allegation. At Treloar & Heisel, our experienced team has spent more than 50 years advising dental professionals in every stage of their career. Learn more about our Professional Liability Insurance as part of a comprehensive risk management strategy. Treloar & Heisel and Treloar & Heisel Risk Management are divisions of Treloar & Heisel, Inc. Insurance products offered through Treloar & Heisel and Treloar & Heisel Risk Management. Treloar & Heisel, Inc. and its divisions do not offer legal advice. Please consult a legal professional for any issues concerning these topics.